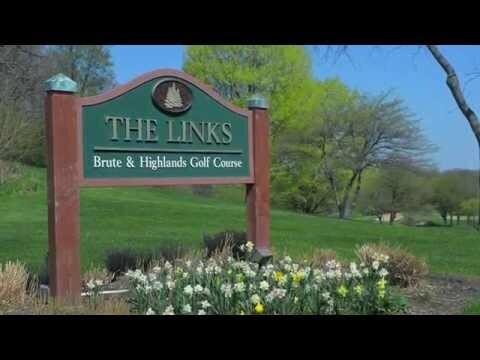 Regarded as one of the top award winning golf resorts in the country, home to 36 holes of championship golf on The Brute and The Highlands courses. 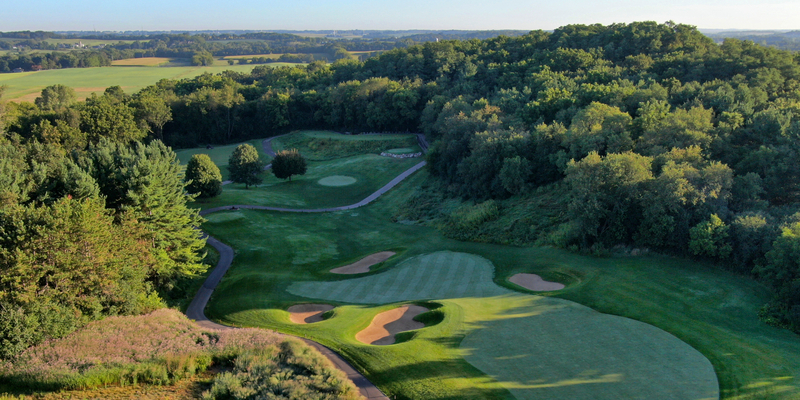 The magnificent Brute, at over 7,000 yards, is one of the most challenging layouts in the Midwest. 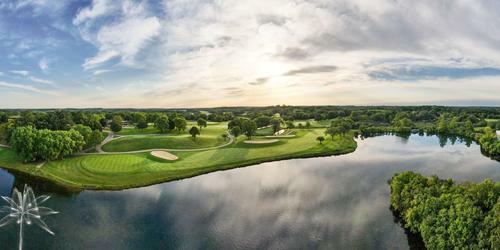 Enhanced with 68 bunkers, this par-72 course has huge rolling greens averaging over 8,000 square feet. Perfectly manicured and immaculately maintained. 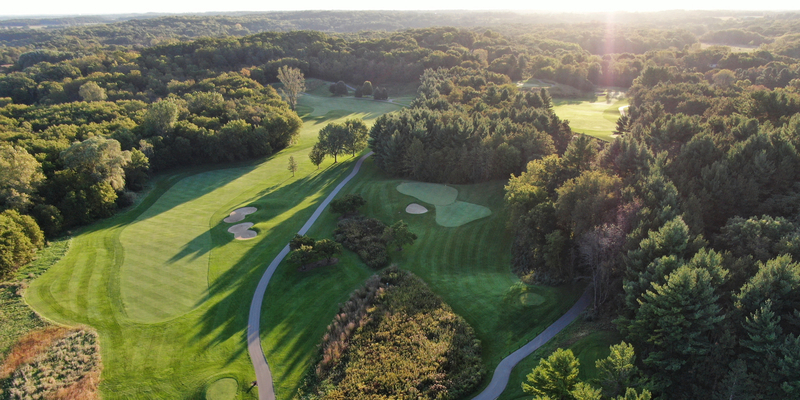 A Scottish style course, this original Pete Dye/Jack Nicklaus creation, transformed in 1996 by Bob Cupp, was updated once again in 2006 by Bob Lohmann, with a major redesign on holes 9, 12 and 15. Instead of paying one rate all season long, dynamic pricing offers a variety of pricing options. Need to have a certain time? Looking for a deal? Whether your priority is price or time, you will always find the best available rate online. Spring rates starting at $59. Enter our brand new challenge by upgrading your round on The Brute or The Highlands for just $5 to participate! If you sink an ace on select holes, you could win up to $10,000. Upgrade at the Golf Shop at check-in. Located off of Highways 50 East and 12. Up to 14 days in advance. Let our golf sales managers assist you in planning a one-of-a-kind golf outing, from clinics with our resident pros, to innovative tournaments with prizes and pre/post parties. Customized items are available such as golf balls, visors and golf shirts with your company name for a fun give-away, to suit every budget. Weddings at the Grand Geneva Resort and Spa in Lake Geneva, WI are a wonderful place to say I Do, complete with breathtaking surroundings, elegant reception space, outstanding cuisine, and attentive service. Whether your wedding is an intimate or large affair, we offer a variety of ballrooms and smaller venues that are just right. And American Audio Visual Center, located on site, will help with any custom event lighting designs. Our Lake Geneva wedding specialist is ready to help make your special day picture-perfect, from cuisine to floral arrangements. 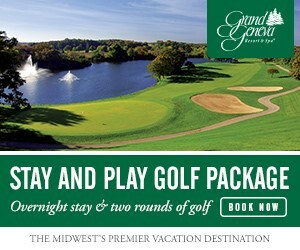 Grand Geneva Resort & Spa, is a AAA Four-Diamond resort offering 355 renovated guest rooms and suites. When at Timber Ridge Lodge for the day, you can also take advantage of their eateries - Smokey's Bar-B-Que House for hearty barbecue and the Hungry Moose Food Court for a quick bite. You owe it to yourself. In this technological age, we are always on call and always connected to cell phones and email accounts. It's about time you escape those tensions and reclaim a sense of physical and mental harmony. WELL Spa + Salon at Grand Geneva is devoted to syncing your mind and body, not your IPOD. Slip into a robe and slippers and renew your senses in an environment of relaxation. With a wide range of services devoted to your well-being, you'll find the perfect way to reinvigorate yourself. The Fitness Center at Grand Geneva has an activity for everyone. Choose from an array of classes such as cycling or yoga. Try your hand at the 35-foot-tall climbing wall and the thrills it imparts. Other highlights include a basketball court, indoor and outdoor tennis courts, an indoor lap pool and locker rooms with sauna and steam rooms. Use of the fitness center is included with every spa and salon service and is open to all resort guests. WELL Spa + Salon is also a unique place for your bridal party. Please contact our Spa Group Sales Coordinator at (262)248-8811 ext. 3774 to help you arrange that special event. Group pricing may be applicable. Watch the Explore The Amenities At Grand Geneva Video. Watch the Grand Geneva Recreational Activities Video. 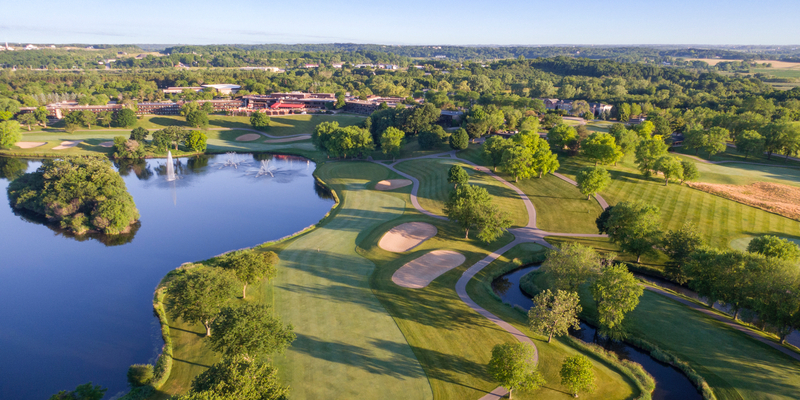 Watch the Grand Geneva Resort Overview Video. Watch the Learn How To Play Ready Golf Video. This profile was last updated on 02/20/2019 and has been viewed 69,027 times.